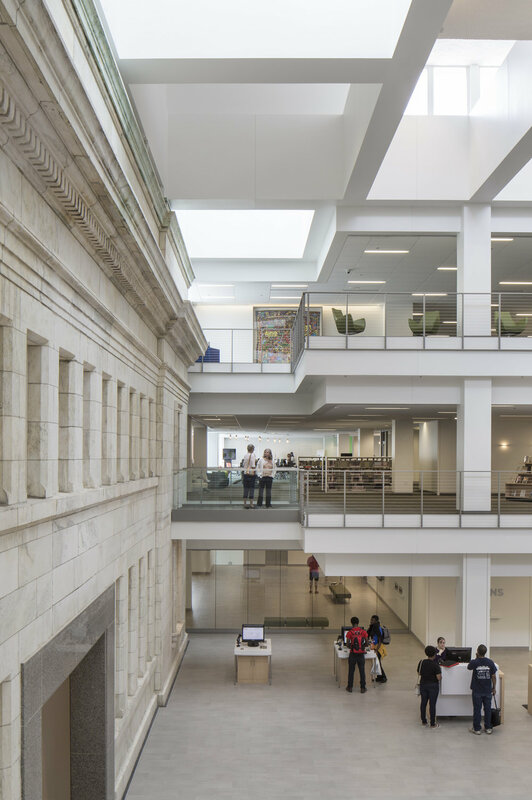 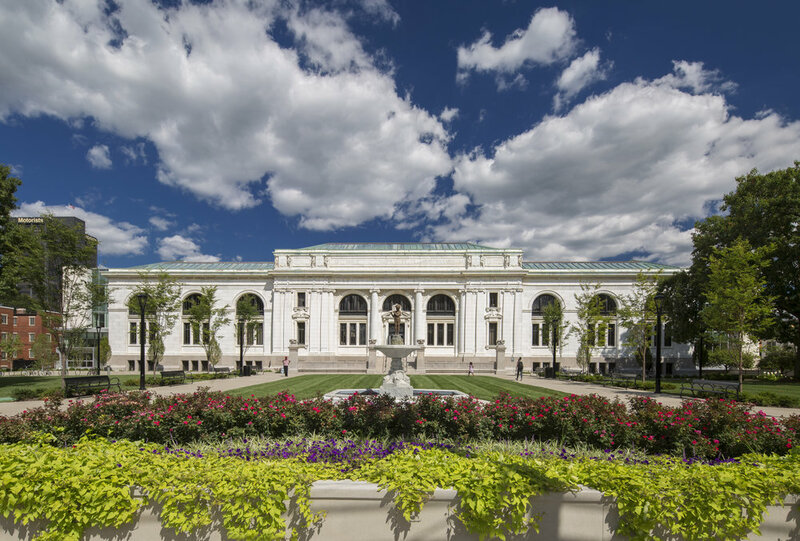 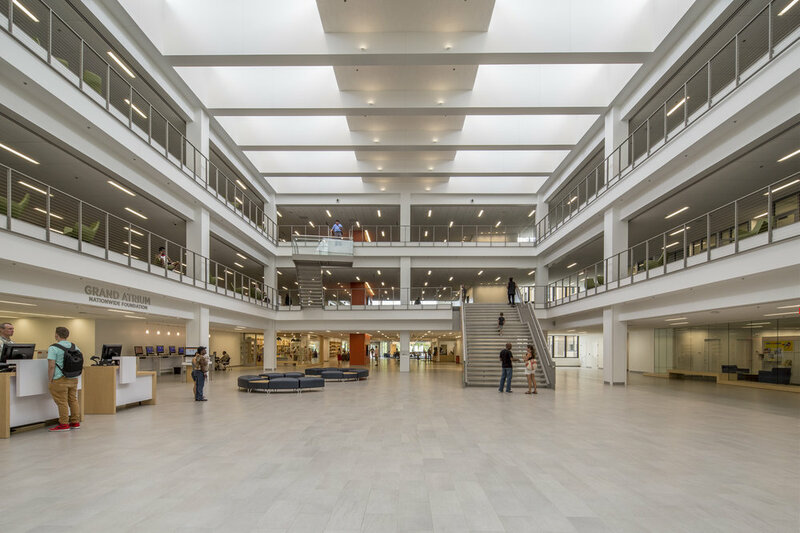 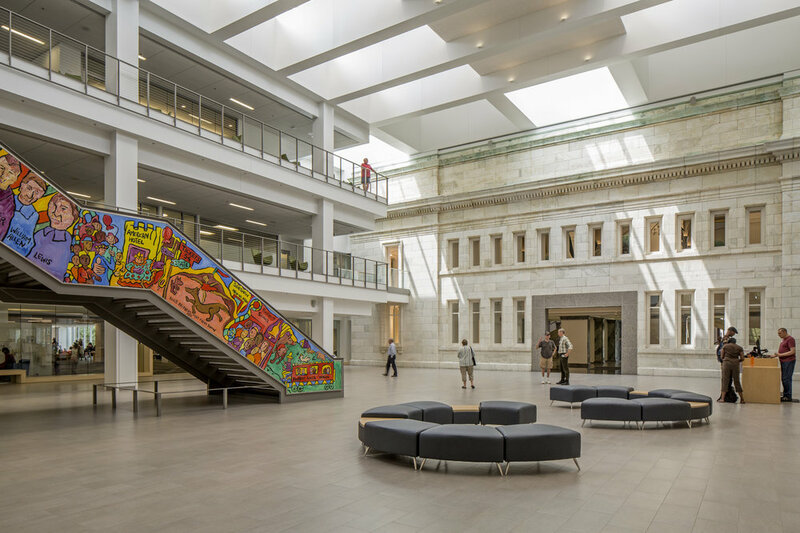 Schooley Caldwell collaborated with GUND Partnership for the $30 million renovation of Columbus’ iconic Main Library, which consists of a 1907 Carnegie building and an addition built in the early 1990’s. 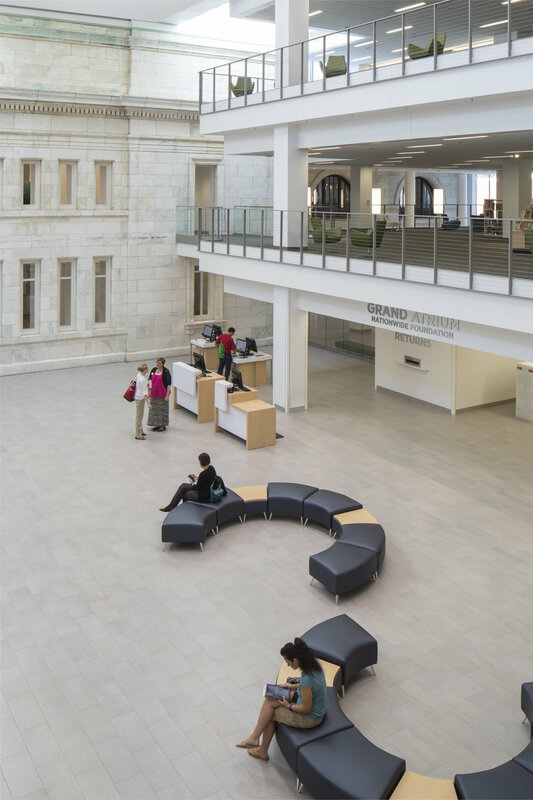 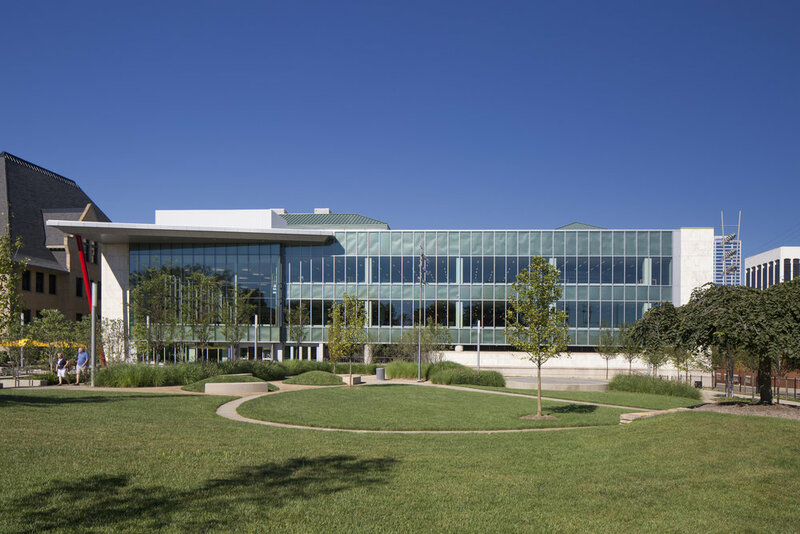 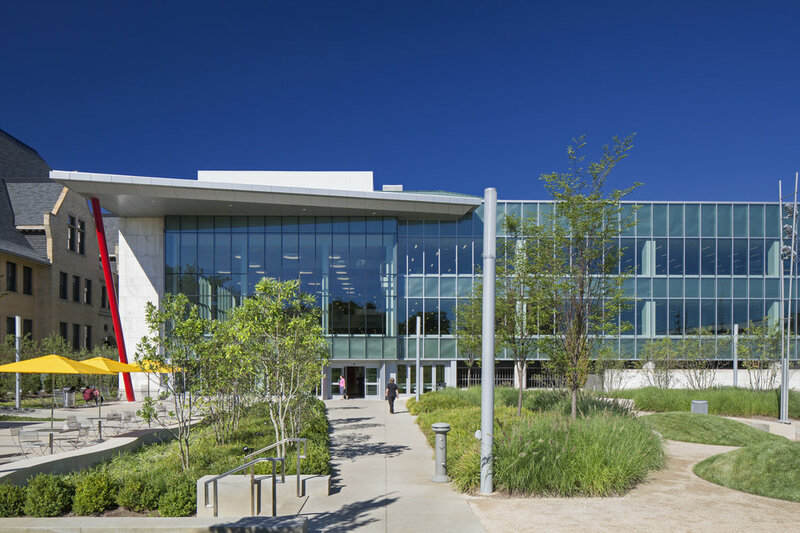 The Columbus Metropolitan Library (CML) is a true community asset and consistently ranks at the top of the nation’s library systems, but the Main Library and the addition had been designed primarily as vaults for books and did not support the library’s mission of being a 21st century, community-centric library. 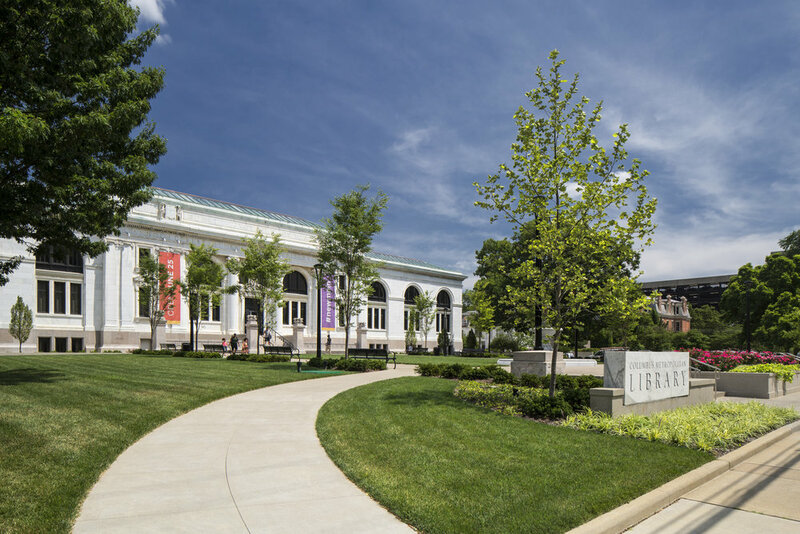 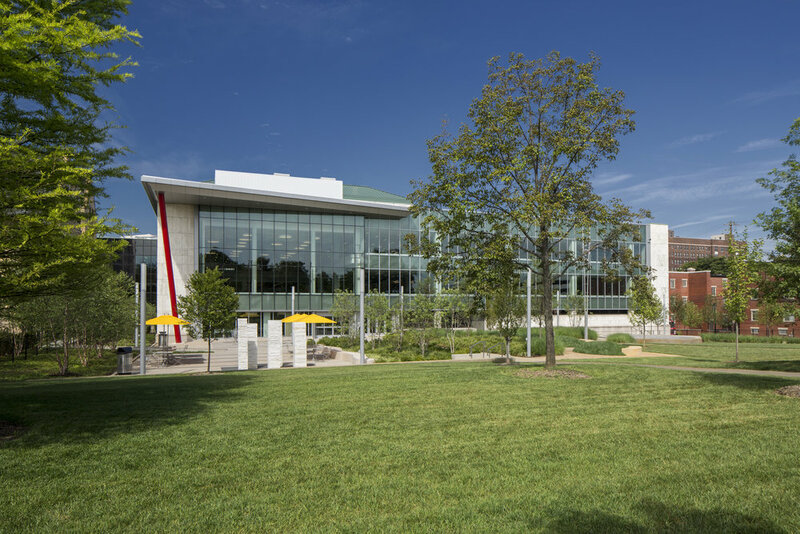 The design successfully addressed all of CML's issues, and the project was completed on time to accommodate the prestigious International Federation of Library Associations and Institutions’ annual convention, which was held in Columbus in August of 2016. 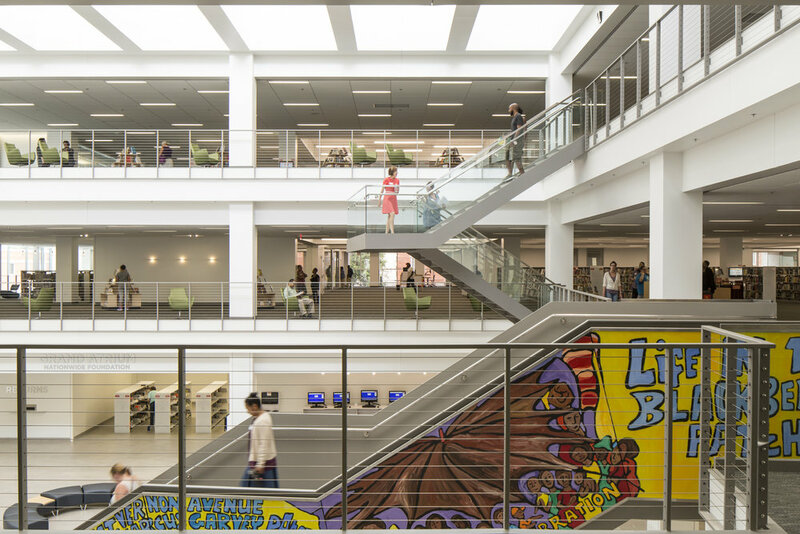 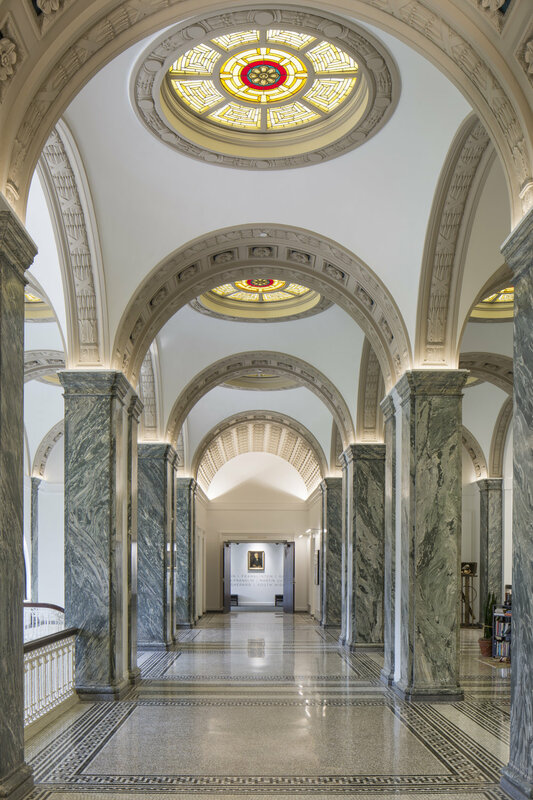 The library serves an area of more than 870,000 residents and has a collection of 2,500,000 books and periodicals. 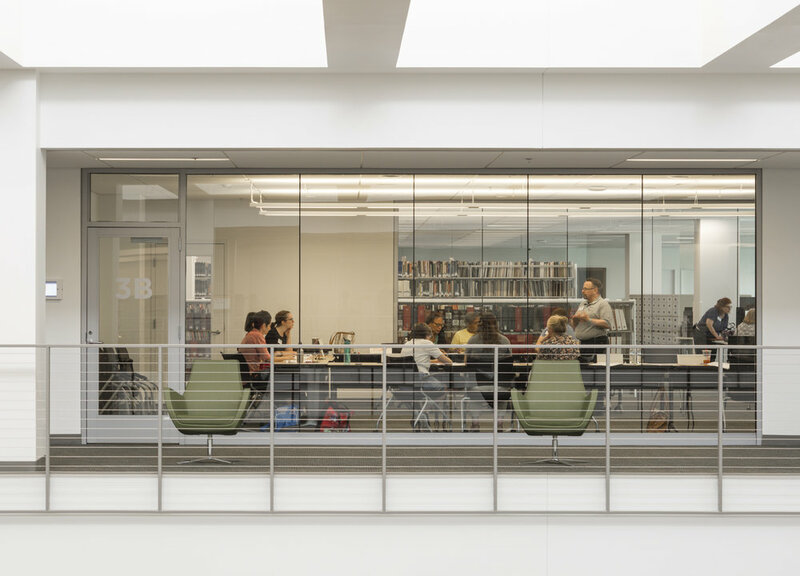 In addition, there are 260,000 CDs, records, cassettes, and other audio materials, as well as 176,000 video items, such as DVDs and VHS tapes. 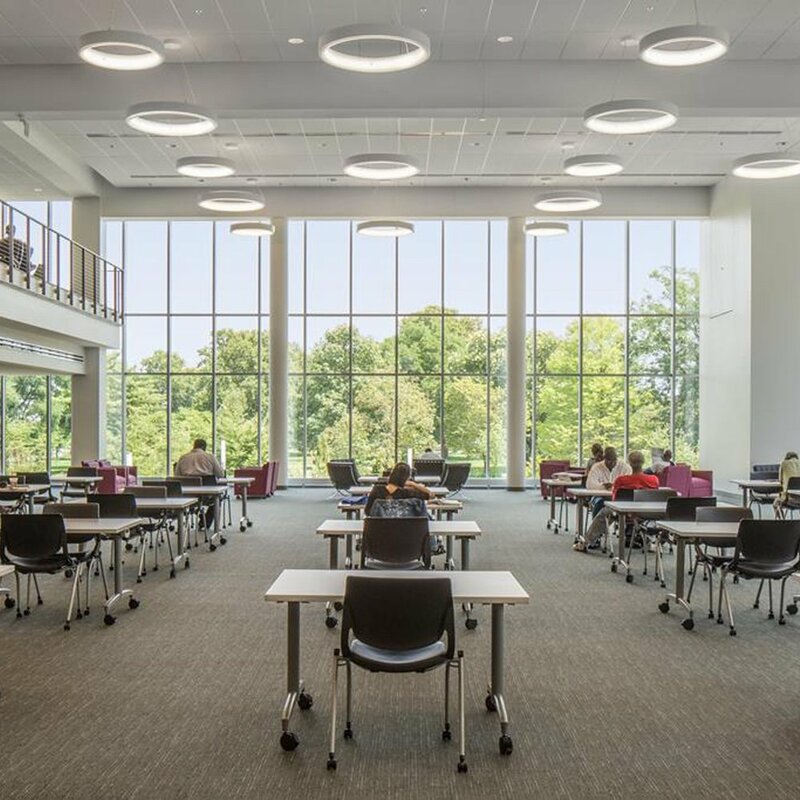 In 2006, the library was ranked by Hennen's American Public Library Rating Index as #3 for libraries serving populations of 500,000 or greater.